Share data from all enterprise systems, with all users, when they need it. 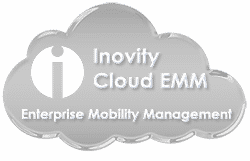 What is EAI (Enterprise Application Integration)—and why do I need it? Most companies have some combination of an accounting system, a Manufacturing Resource Planning system (MRP), an Enterprise Resource Planning System (ERP), an inventory system, and several other special departmental systems. Each application serves a very useful purpose, but most don’t share data very well, and each one has its own set of users, training, maintenance, and management issues. Why keep your data separated from the users who need it most? EAI, or Enterprise Application Integration, can provide your organization with a single place for everyone to go to find the data they need, when they need it. What benefits will your company enjoy by implementing an EAI solution? Because barcoding and Auto ID systems usually integrate with existing systems, Inovity can use its extensive integration experience to evaluate, design, and implement an appropriate EAI system to help you operate and manage your business more efficiently and effectively.